Find out what the stars have in store for you as we break down the perfect engagement ring for every zodiac sign. 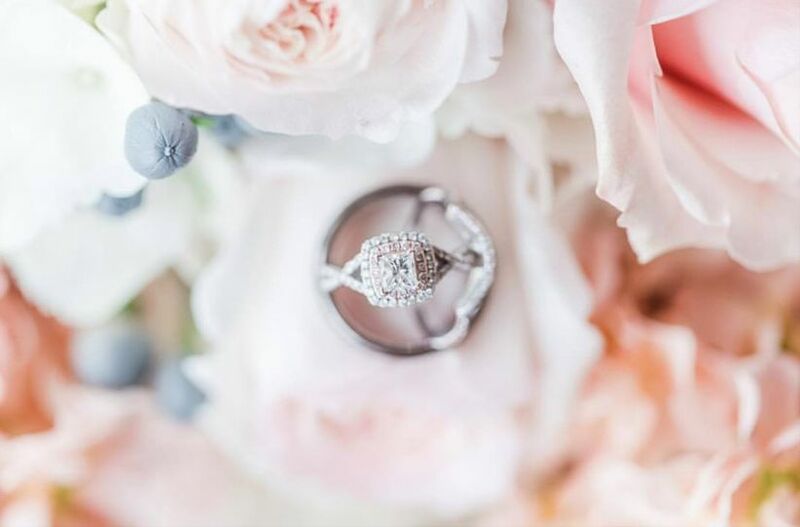 Whether you’re waiting for someone to pop the question or are simply browsing styles for a rainy day, dreaming about your perfect engagement ring is a pastime we can totally get behind. But how do you decide which style is the right one for you? Instead of sharing traditional engagement ring shopping tips, we decided to turn to the stars to see what the astrological charts have in store. 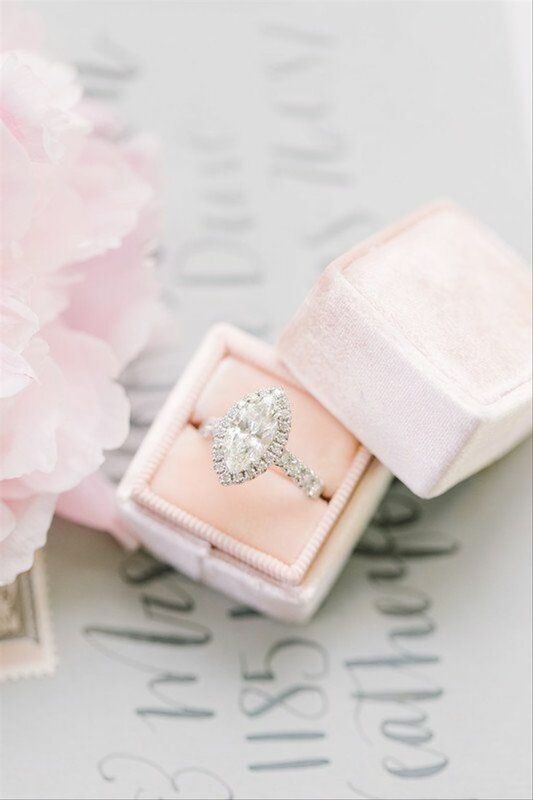 Keep reading to find the perfect engagement ring based on your zodiac sign. As an Aries, your motto is “Go big or go home.” A statement-making engagement ring is an ideal fit for your independent and often fearless personality. 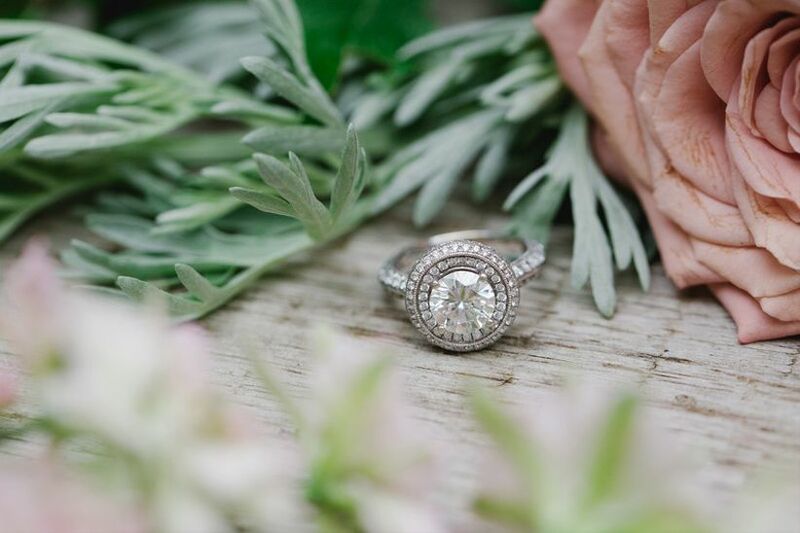 This gorgeous sparkler features a trendy pear-cut stone flanked by two arrows on either side, creating an eye-catching effect. 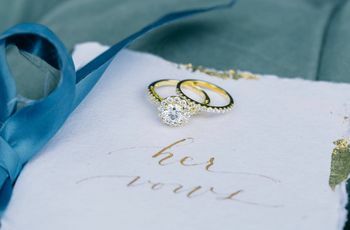 The colored stones speak to your extroverted nature, but if you prefer something more mainstream, a similar ring with all-white diamonds would be just as fabulous. Taureans are practical and level-headed to the core, but if you were born under this sign, you’re also known for being a bit self-indulgent every once in a while — as long as you’ve had the chance to weigh all your options first. An engagement ring with a solitaire cushion-cut stone is sensible for everyday wear, while an eternity band adds a bit of glamour and style. Items that will stand the test of time are super important to you, and this timeless choice makes a great option for the long haul. You’re known for being a bit indecisive and uninhibited at times, Gemini, but that’s only because of your curious nature, busy mind, and desire to communicate with everyone around you! After all, you’re one of the most sociable signs in the zodiac. An engagement ring with mixed metals and a twisted band speaks to your multi-faceted personality by allowing you to combine several different trends into one style. Cancerians have the tendency to wear their hearts on their sleeve, and no gesture is too mushy when it comes to wooing this water sign. 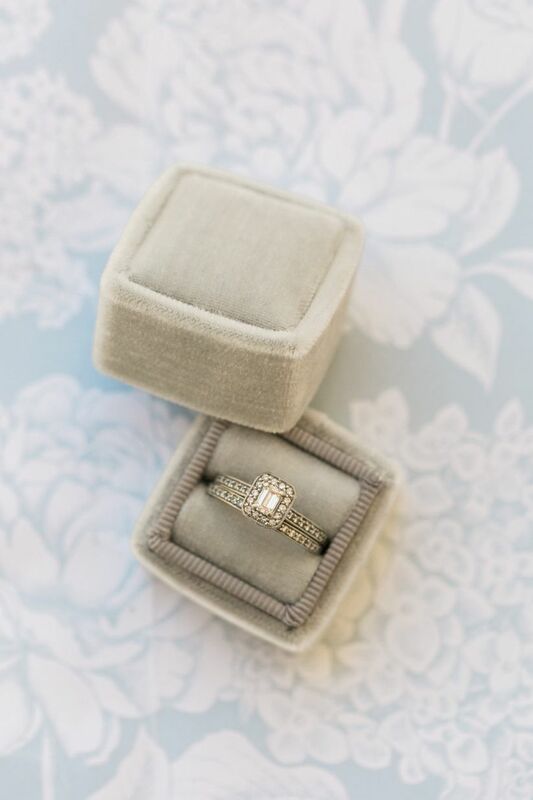 Cancer, your perfect engagement ring has a classic romance vibe that reflects your sentimental, emotional personality. 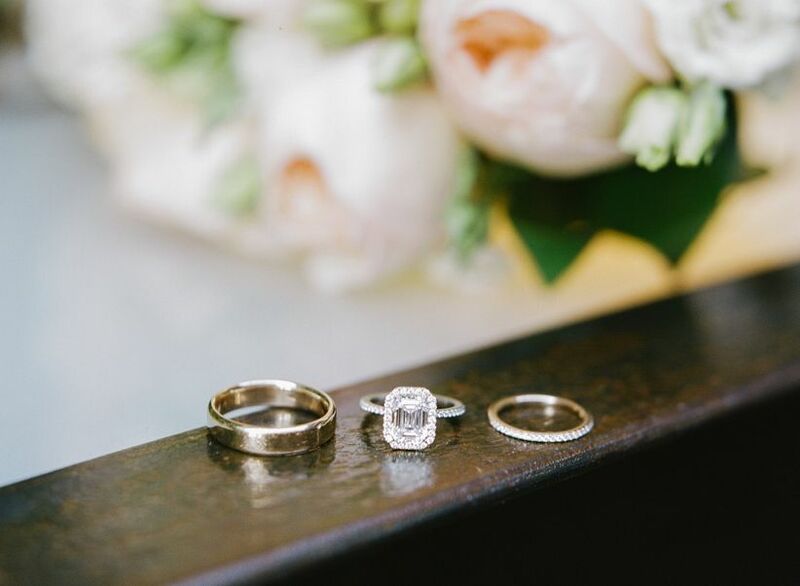 An elegant emerald-cut ring catches the spotlight (this cut can make stones look larger than they actually are) and tells everyone around you that you’ve found The One. While you normally shy away from being the center of attention, you don't mind shouting from the rooftops now that you’re living in your very own fairytale! 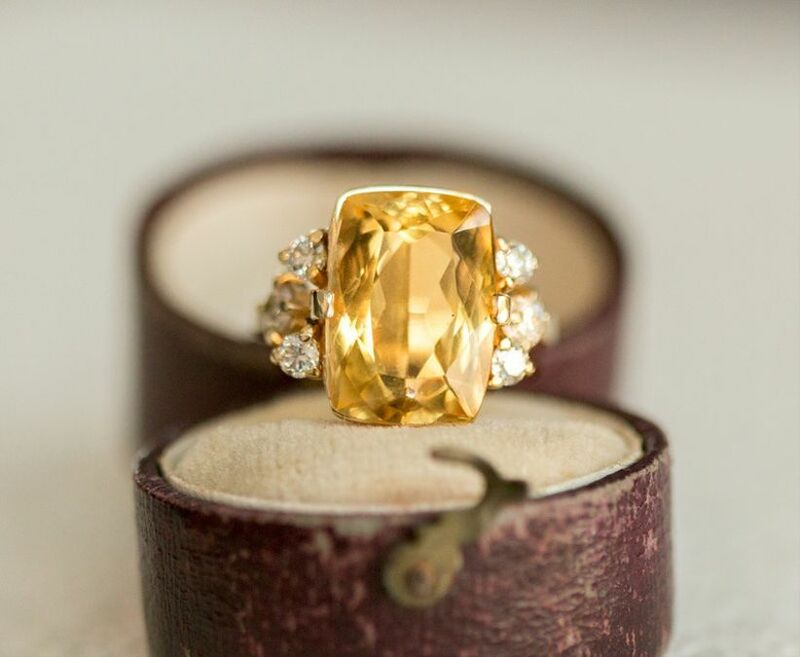 Set yourself apart from the rest with a unique yellow diamond engagement ring. 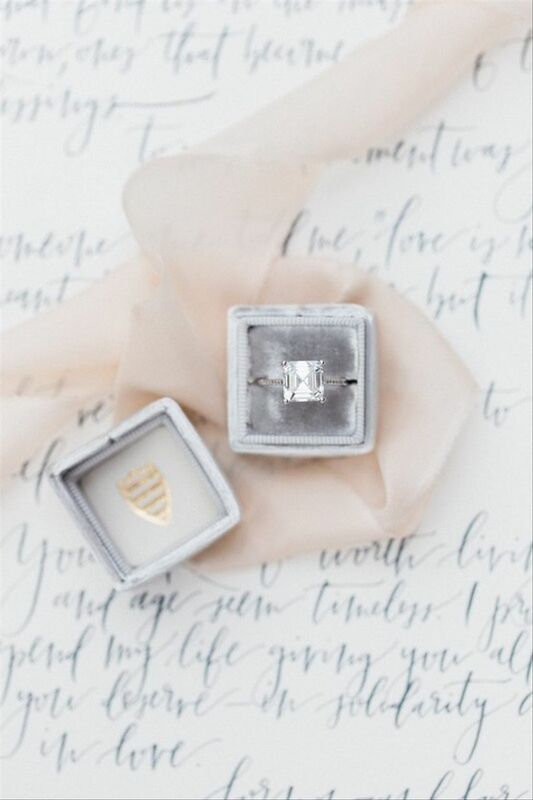 As a Leo, you’re not shy about being a leader or breaking away from the pack, and a colored engagement ring is sure to catch people’s attention. A warm-hued stone, such as a citrine or yellow sapphire, complements your cheerful and creative spirit. Your perfect engagement ring is all about understated style, Virgo. Tradition and functionality are important to you, but that doesn’t mean you have to stick to a basic, no-frills sparkler. 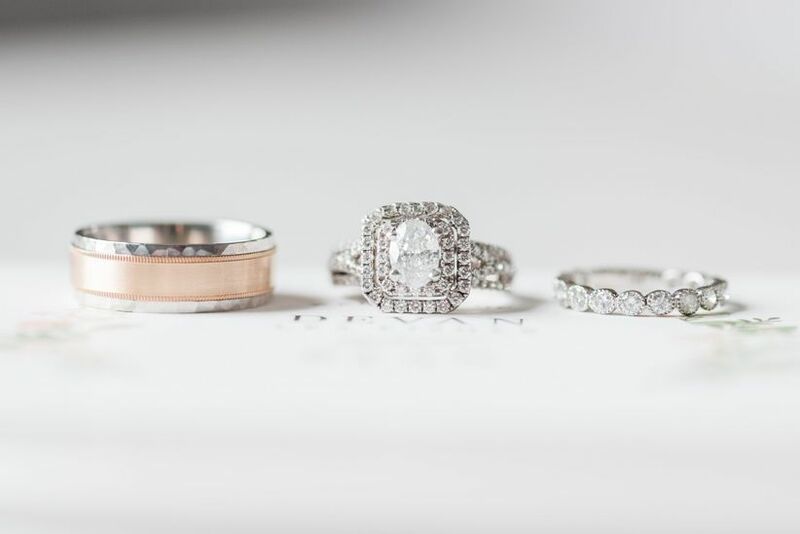 A channel-set halo and matching band are more durable than most pavé options, which gives you the freedom to take care of business as usual without worrying about a dainty ring, but they still have plenty of sparkle. It’s a win-win! Libra, you’re one of the most diplomatic and even-keeled signs of the zodiac, and you need the perfect engagement ring to match your balanced personality. While you love classic style and glamour, your taste is anything but boring! You’re a pro at finding the sweet spot between timeless elegance and lavish details, so an oversized princess-cut ring is our pick for you. The solitaire stone provides just the right amount of bling without veering into "overdone" territory. A black diamond or onyx engagement ring isn’t for everyone, but you’re not afraid to venture into untouched territory, Scorpio. You can be mysterious and alluring to those who don’t know you well, but your emotions and loyalty run deep once you’ve found your true love. 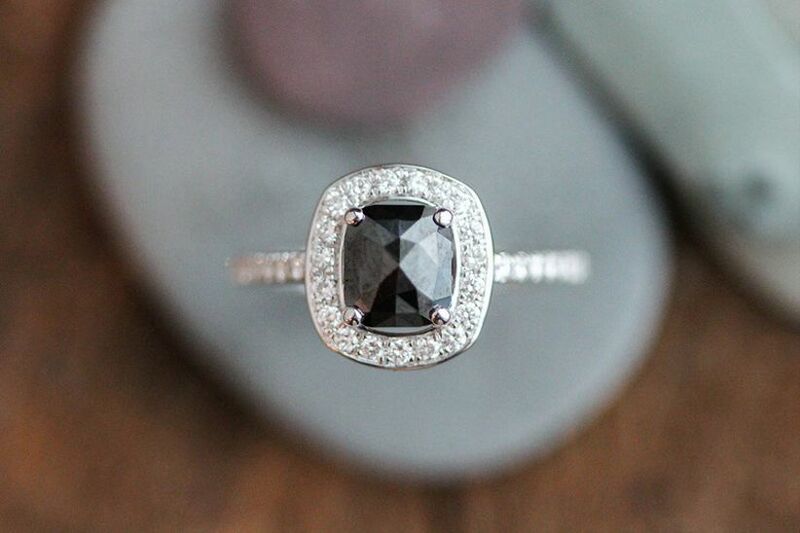 Dark and sultry colors are a natural fit for your brooding personality, so an engagement ring that’s equally dramatic is a no-brainer. As a Sag, you love marching to the beat of your own drum and standing out from the crowd. 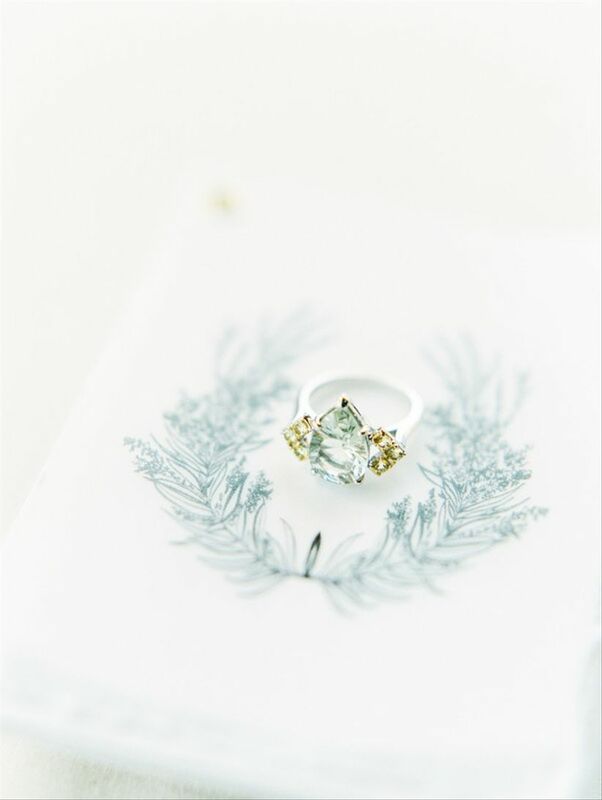 A marquise-cut engagement ring is an unexpected option that shows off your eye for fashion and unique style. 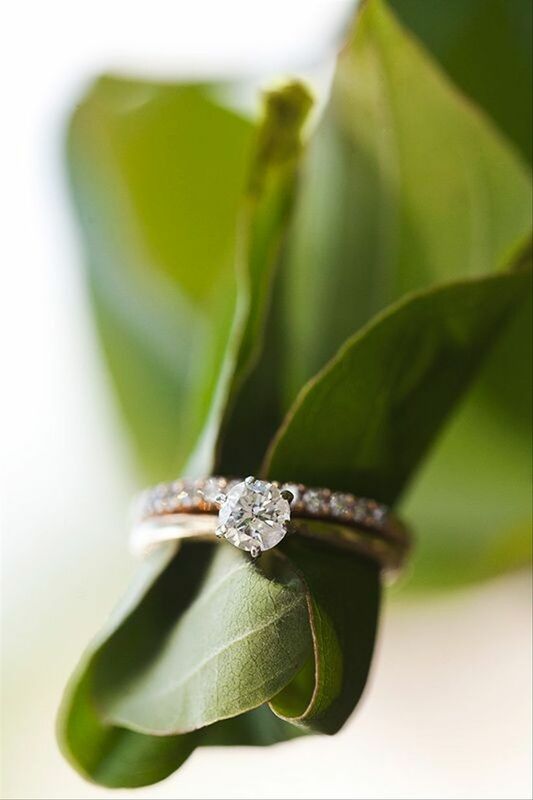 It’s also one of the less-common diamond cuts, making it an excellent fit for your trendsetting personality. 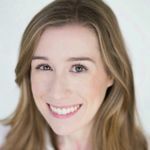 Fussy jewelry isn’t your style, and if you had it your way, you might choose to not rock an engagement ring at all. 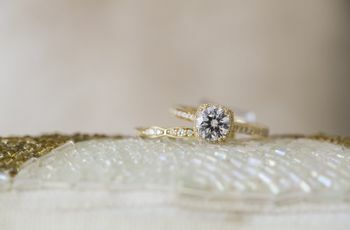 But you’re also a stickler for tradition, and wearing an engagement ring is a meaningful symbol that you can’t resist. 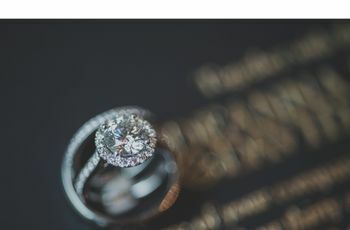 A simple ring with a round-cut diamond and plain wedding band is a sensible compromise — you know that just because you’re wearing a more basic style doesn’t mean your commitment to your partner is any less real. You’re always one to think outside the box, Aquarius, so it’s only natural that your engagement ring captures your imaginative qualities. 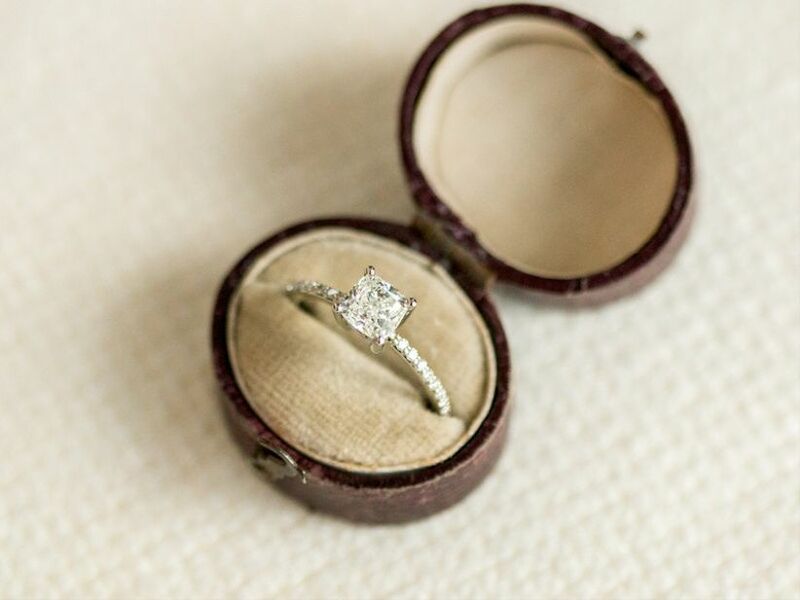 A traditional diamond simply won’t do! 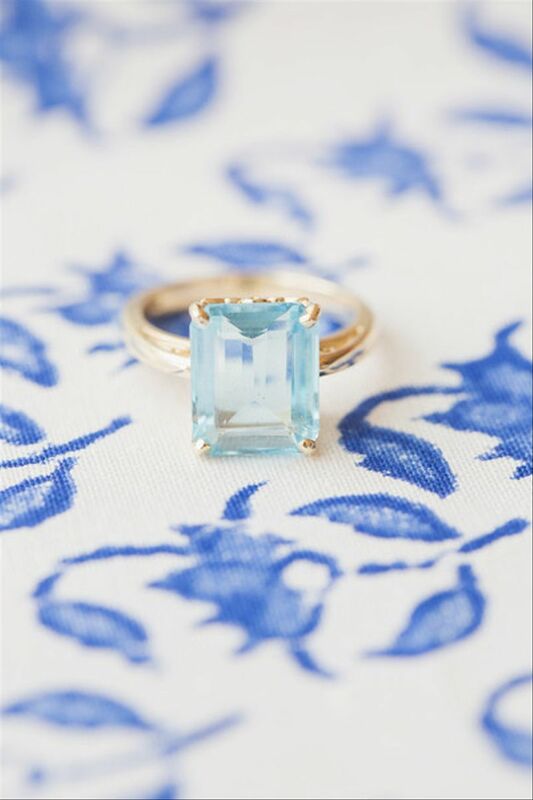 You're a daydreamer who’s known for pushing boundaries, and we think a bold aquamarine engagement ring would be a perfect match for you. Pair this colorful stone with a gold setting to create a sparkler that’s as dreamy as they come. And you'll be following in Meghan Markle's footsteps — she accessorized with Princess Diana's aquamarine ring for the royal wedding reception. As a Pisces, you’re a gentle and sensitive soul at heart (as is true for every water sign). 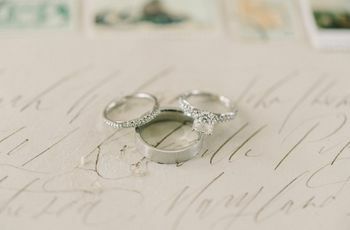 A completely round engagement ring, halo and all, complements the soft side of your personality (read: no harsh edges) while tapping into your elusive tendencies — you can’t tell where it ends or begins. Look for a one-of-a-kind vintage ring or have something custom-made to satisfy your passion for artistry and individuality.